At Toolstation, we have a range of ladder accessories for extra safety and support when working on a ladder. 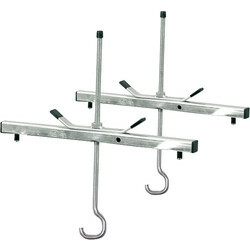 We stock the highest quality of Youngman ladder accessories to simply attach to your ladder. The Youngman ladder stand off helps prevent damage to gutters, tiles and windows by positioning the ladder away from the wall. 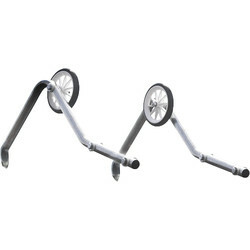 This versatile ladder tool can be attached to most types of extension ladders. Easily convert your extension ladder into a roof ladder, with the easy to use roof ladder hook from Youngman. 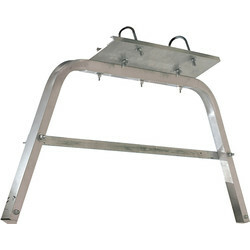 The ladder roof hook is constructed with galvanized steel for a strong hold and support whilst you work. If you are looking to secure ladders to a roof rack, the Youngman Ladder roof rack clamp is easy to attach and can secure up to 3 ladders.